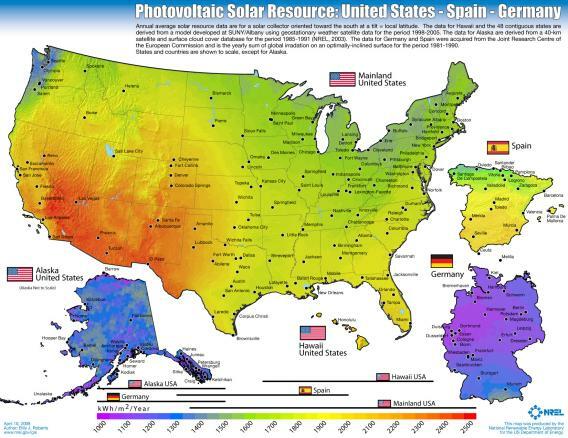 Did you know that Germany gets a lot more sunlight than the United States? Well, it was said on Fox News, and well, they are a “news” network, right? That must be why Germany’s solar industry is so much further ahead than ours. Thanks Fox News! Slate — Near the end of the segment, it occurred to Carlson to ask her expert guest, Fox Business reporter Shibani Joshi, why it might be that Germany’s solar-power sector is doing so much better. “What was Germany doing correct? Are they just a smaller country, and that made it more feasible?” Carlson asked.